"All of us love the game called mystery fiction and we're gathered on an island with a bloody back story." During the Summer of 2015, John Pugmire of Locked Room International published an English edition of Jakkakukan no satsujin (The Decagon House Murders, 1987), translated by our very own Ho-Ling Wong, which was a landmark mystery novel in Japan by Yukito Ayatsuji – ushering in the era of shin honkaku (i.e. their golden period). This neo-orthodox movement succeeded the social school, known for emphasizing "natural realism," which had dominated the scene since the 1950s. A dominance that was finally broken in the 1980s with the publication of a handful of plot-oriented mysteries that helped turn the tide against the social menace of so-called respectable crime-fiction. 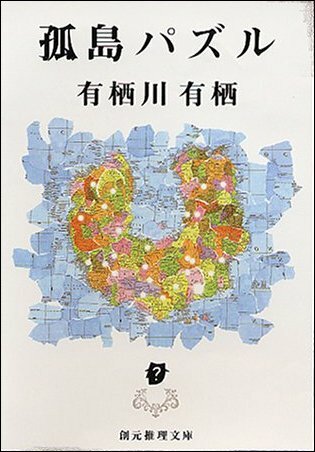 One of these watershed publications was Senseijutsu satsujinjiken (The Tokyo Zodiac Murders, 1981) by Soji Shimada, which even managed to carve out a reputation for itself here in the West. However, that famous and bloody tour-de-force is not the subject of this blog-post. I only mentioned Shimada, "the doyen of the Japanese form of Golden Age detective fiction," because he wrote an insightful introduction for the latest translation by Ho-Ling and LRI. Alice Arisugawa wandered on the scene with "one clearly defined ambition," which was to become "the successor to Ellery Queen." 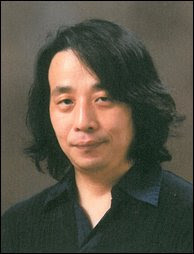 It's a lofty goal, to be sure, but his first shot at writing a detective story, Gekko Gemu (Moonlight Game, 1988), failed to convince Ayatsuji the new EQ had emerged in Japan – which, however, changed when Arisugawa wrote his second novel, Koto Pazuru (The Moai Island Puzzle, 1989). And that's the one that was peddled across the language barrier by LRI. If you want to know more about the background of Arisugawa or his work, I recommend you read Ho-Ling's blog-post about the series, "Rebuild: The Student Alice Series," or simply check out all of the posts he made under the "Alice Arisugawa" tag. So now we got that out of the way, let's get this long overdue review on the road. 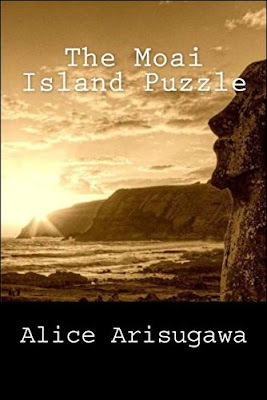 A law student, named Alice Arisugawa, who, in spite of his feminine name, is actually a guy, narrates The Moai Island Puzzle. I'm not entirely sure why the name of Alice was chosen as both a nom-de-plume and as a name for the character, but I imagine the reason is somewhat similar as to why the protagonist from Eoin Colfer's work, Artemis Fowl, shares his name with a Greek goddess – i.e. sounds kind of nifty (?). In any case, Alice is a member of the Eito University Mystery Club and a recent addition to the club, Maria Arima, invites him and the club president, Jiro Egami, to an island villa that used to belong to her late grandfather, Tetsunosuke Arima. The place now belongs to her uncle, Ryuichi Arima, but her invitation entails more than just a summer holiday. During his lifetime, Tetsunosuke was a successful businessman and leisure activity of choice was solving all kind of puzzles: jigsaw puzzles, crossword puzzles, mathematical puzzles and mazes. Before he passed away, he created a particular alluring puzzle himself. A treasure hunt he referred to as "an evolving puzzle." On the small, horseshoe-shaped island, called Kashikijima Island, the old businessman planted twenty-five moai statues. However, these carvings are very different from the ones found on Easter Island. The moai faces on this island were chopped and chiseled out of wood, which are as wide as a telephone-pole and about one meter high, but unlike their stone counterparts, these "wooden moais are all looking in different directions" – which Maria suspects "might be the key to unlocking the secret." One that will reveal where her grandfather has hidden a stash of diamonds. So would the Mystery Club not take up the challenge and solve the mystery? How difficult can it be? It's only a tiny island with two main buildings: Panorama Villa on the Western Low Tide Cape and Happy Fish Villa on the Eastern High Tide Cape. The former is the holiday residence of the Arima family, while the latter is the retreat of a small-time artist, Itaru Hirakawa. In addition to these buildings, there's a small arbor and an observation platform tucked away in the lush and wild vegetation of the island. A seemingly peaceful and benign place, but, early on in the story, the reader learns of a tragedy that has taken place there. Maria's cousin, Hideto, attempted to solve the intricate moai puzzle, but tragically drowned at sea. This happened three years ago and pretty much sets the stage to the tragedies that are about to unfold on the isolated island. The stretch between the prologue and the chapters that lay the groundwork for the first murders take up a significant portion of the first half of the book, which is told in leisurely pace and might test the patience of reader who prefer the introduction of a body at the earliest moment possible. However, this part of the book does an excellent job in sketching an image of the story's surrounding and introducing all of the characters. This all lead up to one of the more curious, but well handled, locked room mysteries I have encountered in a long time. I should remind you that I say that with John Russell Fearn's extraordinary Thy Arm Alone (1947) still fresh in mind. Somewhere around the 80-page mark, the bodies of two family members are found behind the bolted door of a bedroom: the first one belongs Ryuichi's brother-in-law, Kango Makihara, whose body is covered by that of his daughter, Sumako. The murderer shot both father and daughter with a rifle that was kept illegally on the island for target practice. However, the rifle was not found when they broke into the bedroom. So how did the shooter manage to leave two bodies inside a sealed bedroom with a stiff, rusty latch on the door? On the back cover, the impossible situation is described as "brilliant and worthy of John Dickson Carr." Personally, I would not draw a comparison between this locked room and those conjured up by the Grand Master himself, because the explanation offered by Arisugawa took a deconstructionist's approach. That being said, this still has to be one of the most solidly motivated locked room murders in all of detective fiction. There was a good and original reason as to why the room had to be locked from the inside. I remember Sir Henry Merrivale lectured in Carter Dickson's The White Priory Murders (1934) and The Peacock Feather Murders (1937) about all of the motives for creating a locked room scenario, but this one was not mentioned. So The Moai Island Puzzle might have actually broken new ground in the genre. No mean feat! A final problem is presented in the guise of a supposed suicide: the alleged killer shoots himself and leaves a suicide note behind, but this incident is swiftly revealed to have been staged. However, where the story really excelled, as an exercise in deductive reasoning, is the impressive chain of deduction and how all of the aspects of the plot seemed to come together naturally – beautifully dovetailing into a cohesive pattern. Egami is able to reconstruct the murderers movement, during the third murder, based largely around a tire-mark on a piece of piece (a map of the island) that was found along the road between the two villas. It effectively demonstrated how serious Arisugawa was when he said he was going to pick up the mantle of Ellery Queen. A message he punctuated by including "A Challenge to the Reader" towards the end of the novel. Lastly, there's how everything fitted together. The Moai Island Puzzle could've easily degenerated into a convoluted mess, but the way in which the events played out gave the plot a glimmer of realism. You could bring yourself to believe events could actually unfold in the way they were described and coherently explained here. Sadly, I was too slow and thick to have reached the same conclusion. I instinctively guessed (shame!) the murderer's identity, but my deductions were far from stellar. 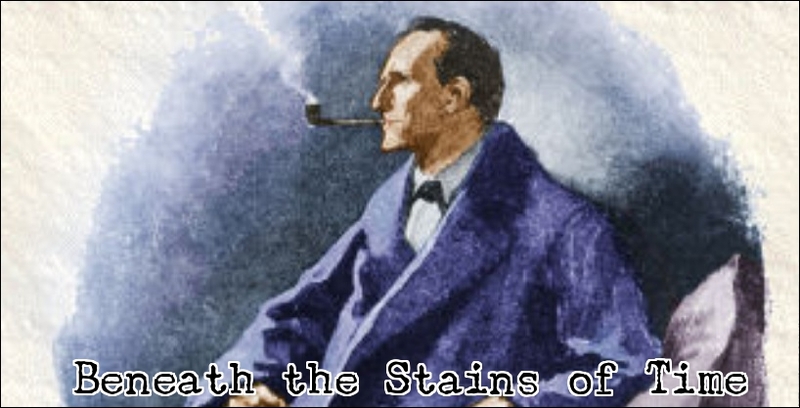 Not my finest hour as a conceited armchair detective who sees himself as being on par with Mycroft Holmes. Oh well! So what else can I say in this overlong review except that, based on this novel, Arisugawa seems worthy to ascend to the throne of Ellery Queen. Hopefully, we've not seen the last of him on this side of our beloved genre. On a final, semi-related note: some of the long-time readers of this blog know, when I began blogging, I shamelessly copied Ho-Ling's blog. I use blog-titles and opening quotes that are only vaguely related to the blog-post, which annoyed or confused some readers. But there's no way back now. Anyhow, Ho-Ling is fond of using episode titles from Scooby-Doo for his blog-posts. So for this blog-post, reviewing a book he translated, I decided to look for an applicable Scoody-Doo title, but without much success. Luckily, there was another Hanna-Barbera produced cartoon show, The Real Adventures of Jonny Quest, which had a perfect episode title for this blog-post. So hopefully JQ can also carry his approval. Yaaaaaaaaaaaaaay! I LOVED this, and am delighted (though unsurprised) that you feel the same -- I'm with you in hoping that we see more Arisugawa translated. I especially enjoyed how ornate the "find the diamonds" puzzle became alongside the murder plot...you, the reader, don't stand a hope in hell of solving the jewel mystery, but it's brilliantly clever and a wonder to watch it unfols all the same. I probably should have mentioned in the review that the treasure hunt pretty much entered MacGuffin territory once the murders began. But, as you said, solving clues of the statues and maps would have taken either a genius or an idiot savant. So it was a good thing that the treasure hunt was primarily used to get the story rolling. I should also try and make an effort, in the months ahead, to catch-up on all of the missed releases from LRI, but give me some time. I only have The House That Kills by Noel Vindry left to read and then I'm fully up to date with LRI - a terrifying thought, where will I go then for my feindish puzzles in translation?! Just wait for the next release? Or try one of Keigo Higashino's translated Detective Galileo novels? The Devotion of Suspect is a gem of an inverted mystery and Salvation of a Saint has an original (impossible) poisoning that you'll either love or hate. Yeah, I read Salvation of a Saint a little while ago following encouraging reviews and recommendations. Loved the first half, and really enjoyed the solution (telegraphed though it was), but the plot ran out at the halfway point and made the second 50% a real drag. Suspect X is pretty good, I think. A grand inverted mystery with a twist and attached to the book is long-standing discussion whether it qualifies as a proper mystery novel. My opinion: yes! The Tattoo Murder Case is a solid detective story. Some of the finer details have faded a bit over the years, but clearly remember being fascinated about the lore and legends about Japanese tattoo art. Or the gruesome impossible crime revolving around a pile of severed body parts found inside a locked bathroom. It did need a floor plan/diagram though. TomCat, if I recall correctly, you discussed briefly the fair-play qualities of 'Devotion of Suspect X' in your review? Or did I get your review with Ho Ling's mixed up...? I think one of the two key aspects of the puzzle is certainly clued well. As for the other, I think it's at best vaguely hinted at - but it doesn't stop it from being a very clever and enjoyable book. I refreshed my memory by peeking at my review and the problem was that a lot of the (intuitive) deduction were based on 20 year old memories of the murderer. That was a bit of a stretch, because people can change over a period of two decades. However, it is an inverted mystery. So this is not as a big an issue as when it was played as a whodunit. The overall trick and final twist are still brilliant. I bought this one when it came out. I thought it was good. I didn't like the fact that the Japanese honorifics were left out; it feels too Westernized for me. It feels to me like the dialogue is a bit off from the original. As far as "Alice" goes, this is undoubtedly a Western name, and the most likely source for the Japanese is Alice in Wonderland. It appears to me that the Japanese are in love with Alice in Wonderland; their popular culture has innumerable references to that book. The dream nature of the Alice stories is very consistent with Japanese culture, as in the story about the butterfly. Why, of course, the name is a reference to Alice in Wonderland! Why am I so dense lately? I'm sure Lewis Carroll's story is popular in Japan, but Ellery Queen (IIRC Dannay in particular) were also in love with Alice and themes from Carroll's tale often found there way into their own work. Most notable in one of their most well-known short stories, "The Adventure of the Mad Tea Party," from The Adventures of Ellery Queen. So it sort of makes sense that the self appointed successor of Ellery Queen would pick a name like Alice for himself. Glad you liked the novel! One thing that I can't *simply* do anymore now is fanboying all over this book w/o the disclosure message I translated the novel, but seriously, I regard this as one of the best Japanese mystery novels, as everything works on its own, and more importantly, together. Like a puzzle. And about the dying message: I personally liked Maria's Dying Message Lecture, as I've seen way too many Locked Room Lectures now. As for Jonny Quest, I never really watched it, but for some reason I can remember the CG-scenes very vividly. Scooby Doo: Mystery Incorporated (a brilliant Buffy-generation parody on Scooby Doo itself and mystery fiction) had an episode featuring Dr. Quest IIRC, where they created the superhero The Blue Falcon. I think that disclosure only adds an extra layer of fanboyishness to your fanboying. But who cares? We got another one of these wonderful Japanese mysteries out of it. So feel free to fanboy all over the place. As short as it was, the Dying Message Lecture was a nice touch. I think more could be done with the idea, but the Dying Message simply does not have the long-standing pedigree of the Locked Room. In any case, Dying Messages are short on the monumental titles that are mainstays on best-of lists. I've heard about that incarnation about Scooby-Doo, but never watched it, because it seemed as a complete departure from the original series. But now I might have to give the Quest/Blue Falcon episode a shot. I assume Dynomutt is also a part of that episode? My guess why everyone falls over the Alice name is that it was not explained why a Japanese man was given female name from the West. After all, it was quickly explained why Maria had been given her (in Japan) peculiar name. Yeah, the episode also features Dynomutt. I do recommend the whole series though, as it's actually very close to the original Where Are You series. Actually, they are set in the same continuity (Velma's parents have a museum of horrors with figures of classic figures like Miner 49er and there are some more surprising ties). Mystery Inc. is like a Scooby Doo series made for adults who used to watch the original series, and now realize how ridiculous the concept was, but still like it. You can now laugh at, but also with it. I'll keep the series in mind then. I always loved the original series. I have been waiting for this blog entry and it was a great read! Book is on its way from amazon to my doorstep. Kudos to Ho-Ling as well for his work. I hope you'll enjoy it, Origami!